Embrace the charm of a container garden without the need for maintenance with Succulents in a Square Box by D&W Silks. 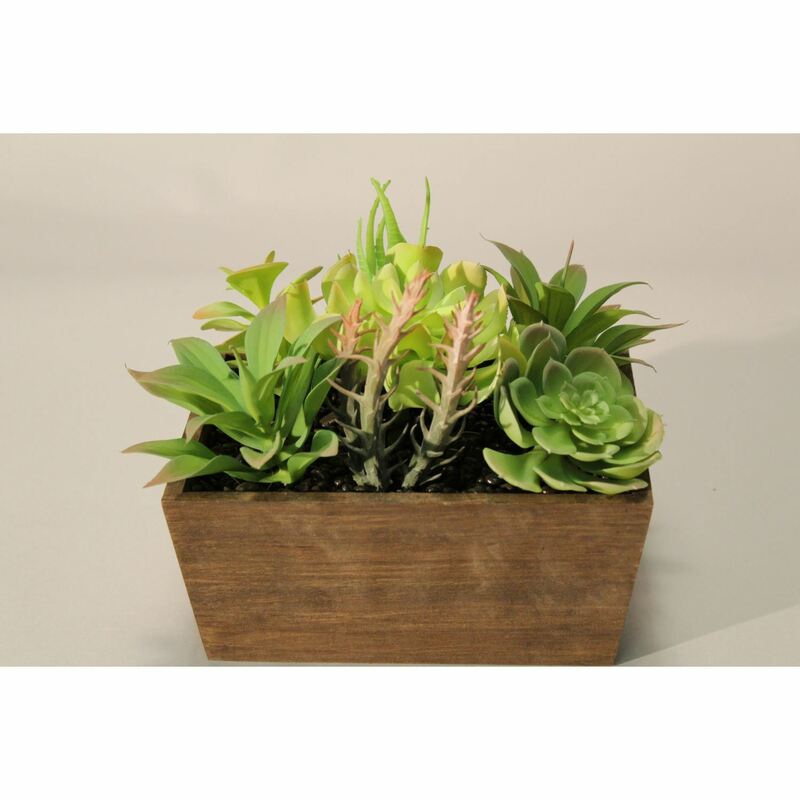 A variety of succulents sit inside a simple, square wooden planter for an informal and earthy look. Succulents in a Square Box by D&W Silks.